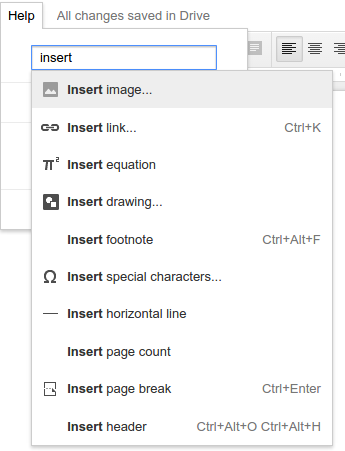 Google today announced a major accessibility update to Google Drive as well as Google Docs, Sheets, Slides, Drawings, and Forms. Specifically designed with blind and low-vision users in mind, the improvements include an improved screen reader and Braille display, as well as phone support. Support for alt text on images in Docs, so you can tell a screen reader what they should say to describe an image. Better support for using a keyboard to edit charts and pivot tables in Sheets. Additional screen reader improvements specifically for Docs, Sheets and Slides, including support for spelling suggestions, comments and revision history. The ability to quickly search the menus and perform actions in Docs, Slides and Drawings (and soon Sheets and Forms)—even if you don’t know the action’s key sequence. Screen readers will now also announce when people enter or leave the document, and you’ll hear when others are editing alongside you. Everyone should now be able to determine when they are collaborating in real time. Next up, refreshable Braille display support has been added: not only can you read and enter text in Docs, Slides and Drawings with the device, but your screen reader’s settings for character echoing are automatically followed. Braille also cuts down on the lag between when you press a key and when it’s announced by your screen reader, plus it improves the announcements of punctuation and whitespace. Speaking of screen readers and Braille displays, Google now offers step-by-step guides for each of its apps: Drive, Docs, Sheets, Slides, Forms and Drawings. 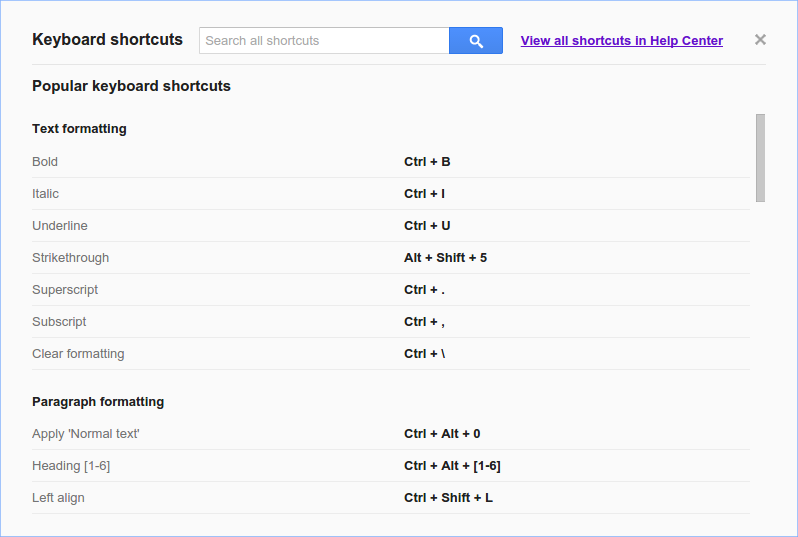 If you need in-product advice, just access the “Help” menu at any time or use the updated shortcut help dialog to easily search through keyboard shortcuts. Last but certainly not least, Google is now offering phone support for Google Drive accessibility questions. Just visit support.google.com/drive to request a call from the team.